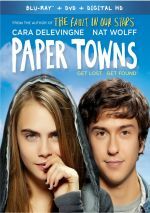 Based on John Green’s novel, 2015’s Paper Towns introduces us to ordinary high school senior Quentin Jacobsen (Nat Wolff). For his entire life, he’s maintained a fascination with wild, untamed Margo Roth Spiegelman (Cara Delevingne), a girl who lives across the street. Pals from an early age, they drift apart as teens, but he continues to hope that their friendship will eventually reignite. Margo tends to disappear, but she leaves clues for others in her life to know where she goes. This list doesn’t include Quentin – until it finally does toward the end of senior year. Margo goes on one of her adventures and involves Quentin, which makes him part of the game when she vanishes once again. We follow attempts to locate Margo and how this affects Quentin’s life. God save us from movies in which the free spirit liberates the uptight nerd! Some of those stories work, but too much of the time, they follow the Harold and Maude formula. That means we get protagonists whose “independence” really seems more like self-centeredness. There’s a smug shallowness to these roles; as much as they may act out some fantasies, they come across as self-absorbed and arrogant too much of the time. Does Margo fall victim to that curse? Pretty much. Characters like this tend to be tyrants, as they force others to adopt their worldview and won’t brook any resistance. Again, we’re supposed to swallow this as being for the good of the uptight participants, but I don’t really buy it. Sometimes the buttoned-down folks do seem to benefit, but too much of the time, they just become as obnoxious as their role models. Margo also comes with a severe layer of pseudo-intellectual philosophy. Take the notion that inspires the title, as this conveys the idea that everyone out there is superficial and “paper” – excluding herself, of course. Condescending proclamations and arrogant, self-centered actions turn Margo into an actively irritating character. The movie throws every hipster cliché at Margo as well. We know she’s awesome because she owns a large vinyl collection, she reads Walt Whitman and she sports a Woody Guthrie poster. Oh, and she favors unconventional uses of capitalization! Instant cool, right? Ugh. Because of this, we find a hole at the center of Towns. The entire movie revolves around Margo and the quest to find her, but I can’t help but wonder why I should care. Quentin’s obsession with her makes him look like an easily-manipulated dope, and though the journey intends to demonstrate his growth, he just becomes less likable as the story progresses. Margo’s hipster rebel status also leads to bizarre leaps of logic. We’re supposed to view her as somewhat who sees beneath the surface and who embraces everything outside of the norm. So who does she date? The standard handsome jock, and she pals around with the usual pretty, popular girls – all while she shuns her old nerdy pal Quentin. How does this make any sense? It doesn’t, and this absence of logic turns into yet another problem with Towns. The young actors can’t manage to enliven the film, though I think they try their best. Their roles remain so trite and tiresome, though, that they fail to add any real dimensionality to the personalities. Towns does attempt to develop its characters as the story progresses, but this fails. The movie’s attempts at depth never go past banal Breakfast Club trivialities, and some of the “change-ups” feel gratuitous at best. A character-based movie packed with weak characters becomes a chore to watch, and that drags down Paper Towns. 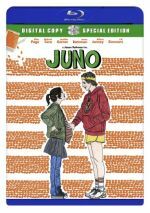 It regurgitates stale rebellious platitudes and lacks anything creative or fresh. Paper Towns appears in an aspect ratio of approximately 2.40:1 on this Blu-ray Disc. Overall, this was a positive image. Apparently even “young adult” flicks aren’t immune to Hollywood Standard orange and teal. Overall, the hues were fine for their visual choices. Blacks showed good depth, while low-light shots boasted nice clarity. This was a solid “B+“ presentation. As for the film’s DTS-HD MA 5.1 soundtrack, it gave us competent sonics most of the time as well as a little pep on occasion. A character-based piece like this didn’t need to boast a rock-em, sock-em mix, so the audio seemed acceptable. Usually, the soundfield didn’t have a lot to do; it concentrated on good stereo music and general ambience. The Blu-ray comes with a mix of extras, and we launch with an audio commentary from director Jake Schreier and author John Green. Both sit together for a running, screen-specific look at the source novel and its adaptation, cast and performance, story/characters, sets and locations, music, and related areas. Schreier and Green show a nice chemistry and make sure this becomes a likable chat. They cover a solid array of subjects and remain engaging even when they indulge in some semi-inevitable happy talk. This becomes an enjoyable commentary. Four Deleted Scenes fill a total of three minutes, 54 seconds. We find “Minivan” (1:10), “Margo Leaves Clues” (0:32), “Be Yourself” (1:05) and “Teenage Rebellion” (1:05). We also locate an Alternate Scene (1:57). The deleted scenes tend toward general character/plot exposition without much of interest on display. The alternate just gives the boys a different song to sing when they’re scared; instead of the Pokemon theme, they croon Taylor Swift’s “Shake It Off”. It’s no better or worse than the existing sequence. The deleted scenes – but not the alternate – come with optional commentary from Schreier and Green. They tell us a little about the shots as well as why the clips got the boot. They remain likable and informative. The Making of Paper Towns lasts 21 minutes, nine seconds. It involves Green, Schreier, producer Wyck Godfrey, writers/executive producers Scott Neustadter and Michael H. Weber, executive producer Isaac Klausner, Green’s assistant Rosiannna Halse Rojas, and actors Nat Wolff, Cara Delevingne, Justice Smith, Halston Sage, Jaz Sinclair, and Austin Abrams. “Making” discusses the real-life notion of “paper towns”, adapting the novel and aspects of a production team, cast and performances, story/characters, Schreier’s impact on the movie, Green’s involvement during the shoot, and sets. Some interesting info occasionally arises, but the tone remains puffy and promotional, so don’t expect much substance. Under Lightning Round, we get two separate clips. The first offers a chat between Green and Wolff (8:04), while the second features Green and Delevingne (5:15). Green tosses mostly off-beat questions at the actors, though a few more serious topics arise. Nothing especially deep emerges, but Green’s entertaining enough to make these clips enjoyable. Delevingne is so annoying that she almost harpoons her segment, though. A Gag Reel goes for three minutes, eight seconds. It shows the usual array of goofs and giggles, so don’t expect anything different than the norm. It’s probably sillier than most since it involves so many younger actors. Four Promotional Featurettes come next. We find “Memorable Moments” (1:04), “Coming of Age” (1:15), “Road Trips” (1:15) and “Lurlene” (1:02). Each one takes place in a van and offers notes from Green, Sage, Delevingne, Smith, Sinclair, and Wolff. They offer some general reflections on story, characters and themes. These do remain promotional, so they give us little of interest. Finally, we find a Gallery. Its 24 pictures mix shots from the movie and from the set. It seems forgettable. The disc opens with ads for Maze Runner: The Scorch Trials, Me and Earl and the Dying Girl and The Fault In Our Stars. Sneak Peek adds promos for If I Stay, Teen Wolf Season 4 and The Longest Ride. We also find the trailer for Towns. A second disc provides a DVD Copy of Towns. It lacks “Making of” as well as the deleted and alternate scenes, but it includes the Blu-ray’s other extras. If you expect anything new or inventive from Paper Towns, you’ll end up disappointed. The movie sticks us with annoying, self-absorbed characters and never becomes an involving journey. The Blu-ray provides very good picture, suitable audio and fairly interesting supplements. A lackluster coming of age tale, Towns falls flat.